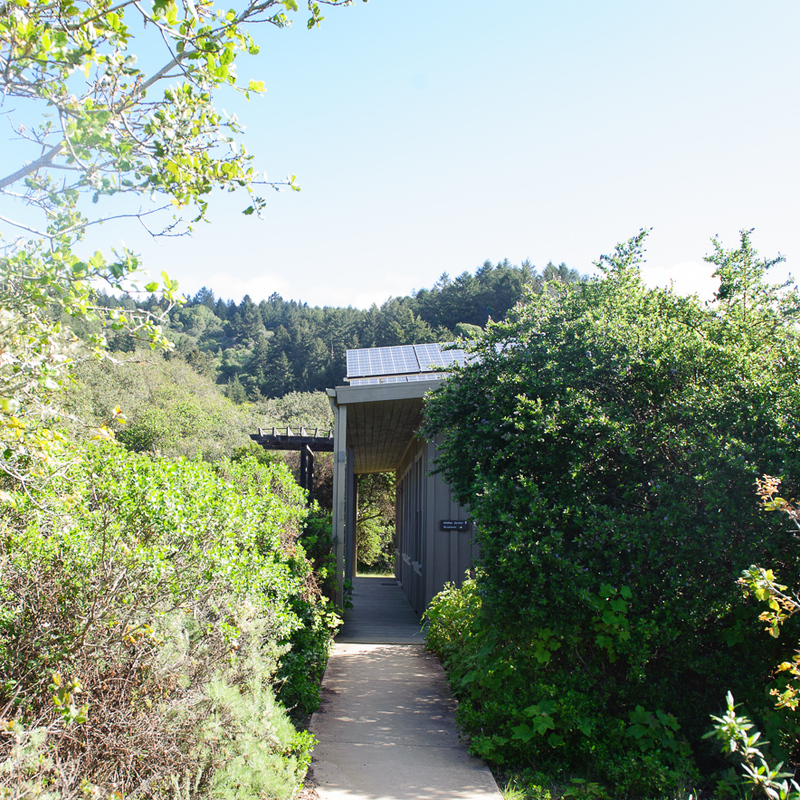 The Palomarin Field Station, tucked into a wooded area on the southern tip of Point Reyes National Seashore, sits on an international biodiversity hotspot. The San Francisco Bay, which is the largest estuary on the west coast, is a critical stopover point for birds migrating along the Pacific Flyway, which extends from Alaska and Patagonia. A biology intern inspects bands on a Wrentit. 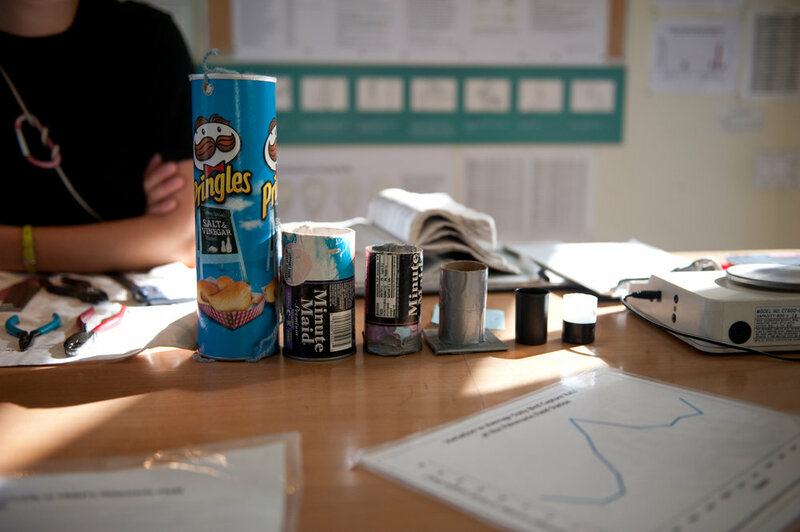 Her tools are laid out in preparation for making measurements. 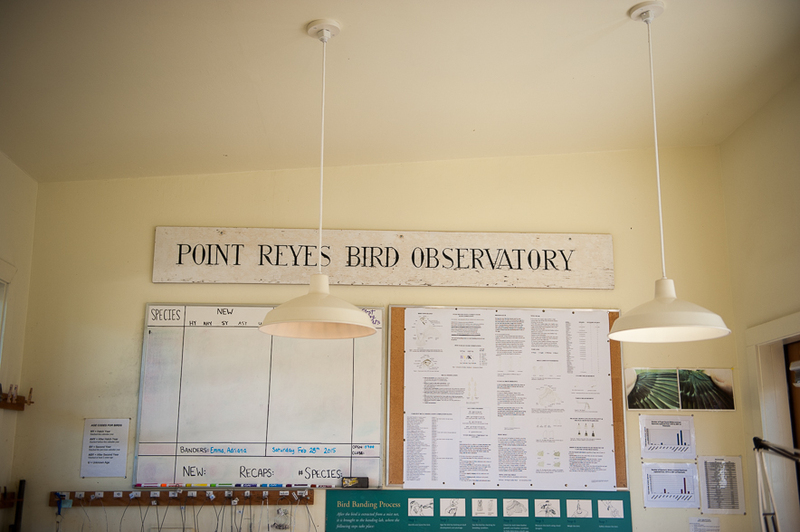 The station has served as a premier songbird research facility since 1966. Scientists and interns at the station track migrating songbirds and nests along the Pacific Flyway. Because of the long-standing dataset collected at this location, biologists from all over the world have used the data in a wide range of studies. Recent studies have focused on understanding the effects of climate change on songbird populations. Here, an intern examines a Wrentit. This particular bird, labeled KWB/S for her color band combination, has a breeding territory on Palomarin's research plot. The station also serves as an educational facility. 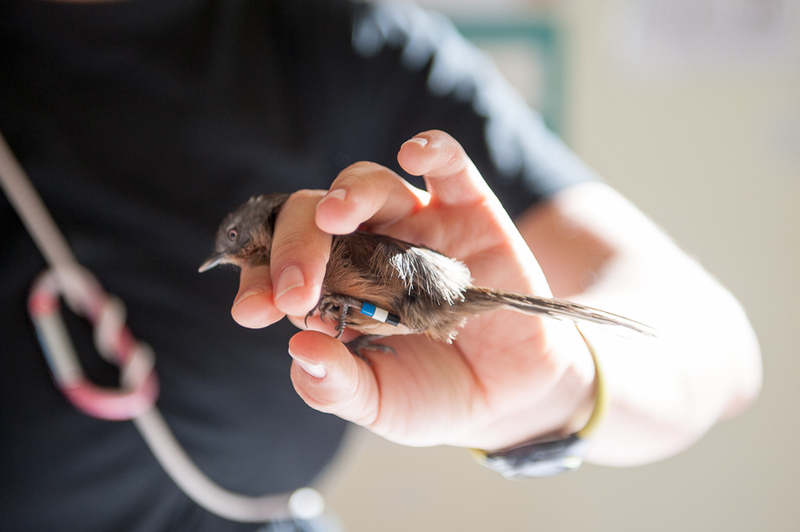 Members of the public and students can watch bird banding demonstrations first-hand. Birds are measured, weighed, and banded before being released. A series of six mist nets are situated near the station. Each hour, scientists check the nets for birds and bring them back to the lab for banding and measuring. As the oldest station on the west coast, lab techniques perfected at the Palomarin Field Station have been adopted by scientists worldwide. A bird specimen collection is on display for visitors to view. Specimens pictured are common to the area. An interactive graph on Point Blue's website shows the number of nesting birds by species since 1985. The graph reveals that long-term Western Tanger populations have been increasing while White-crowned Sparrow populations have been decreasing. 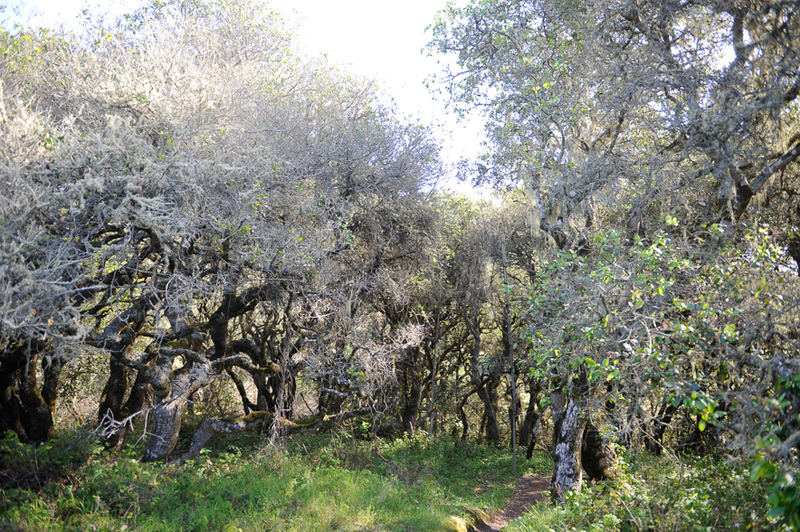 The coastal oak woodland surrounding the station serves as habitat for songbird species. Visitors can take a walk along the nature trail to see the mist nets up-close.